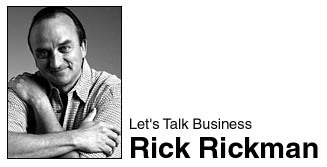 Let's Talk Business: Stop Complaining! If you're waiting for the big assignment life is passing you by. I was sitting with several photographers this past week at the US Figure Skating Championships at the Staples Center in LA and as is usually the case with photographers, the topic turned to lack of job satisfaction. This industry is rife with people who continually seem to be plagued with a lack of ability to find ways to do the things they really want to do. I've always found this dissatisfaction somewhat puzzling because we're in a profession that allows us a lot of freedom to pursue ideas of our own generation. I've always found that my best work comes from the ideas that I generate. It really doesn't matter whether you're working on a staff or you are freelance. If you're a photographer worth your salt you should be coming up with ideas that you want to photograph and attempting to pursue those ideas. Anyway, one young photographer who will remain nameless started to complain about not being able to get a magazine to pick up on an idea they had that they thought would be very interesting. I asked about the idea and this photographer was kind enough to share the idea he had with me. It was a sports related story and I felt it was a good one. I asked this person why they didn't just go ahead and shoot the story and then sell it on completion. I got a look of incredulity from this photographer and there was a long pause. How in the world am I supposed to do something like that when I freelance they asked, a little indignant. I told this person that some of my best work has been self financed and that if you plan carefully you can actually build what I refer to as my project fund. For those of you who know me you know that I'm usually working on some kind of project. Currently it's my aging piece. Before that it was the Navy Seals. All these projects have been self funded and I'm able to do that because I always take a project deduction from every check that I receive. It's a very simple process really. It takes no real skill. It does however take serious discipline. From every check that I receive I deduct 10% of its value and deposit that into anaccount I have sent up with my bank. Most respectable freelance photographers will make in the neighborhood of $100,000.00 a year. If you are religiously deducting 10% of your income each year and placing that into your project account, you should be able to be in a position to self fund a project or story of your origin after about 16 months or so. This little approach has a two-fold advantage. If after a couple years you haven't used the lions share of your money in this account, you can take a little of it and add that money to your Roth IRA. However, most likely you will be using this money regularly for stories you always wanted to do but didn't get the chance to for a magazine. Having the money to do some personal work is truly liberating. It allows you to stretch your creative well being and try some things that you may not have felt comfortable doing for a magazine or newspaper client. It will also give you a sense of added responsibility because you are now spending your own money. The next time you hear yourself complaining about a lack of job satisfaction, take it upon yourself to open your own project account and begin to deposit money into it. It will be good for you because you will be on the path to growth. It will be good for everyone else who, I'm sure, are tired to the bone of hearing you complain. It's like investing in yourself and what better investment is there.